I first saw the collection on Honestly... Wtf's site. I knew I wanted to DIY it, but I wasn't sure how. That is, until I saw fortheloveof.net's tutorial. Acrylic star rhinestones were a genius idea! I mentally bookmarked her ideas: the rhinestones, the wire, the glue. I figured I would tackle it a different day. Then I read the update from truebluemeandyou tumblr saying the tutorial had been taken down. Eep. I spent the next day making these star pins to share with you guys. There are a lot of tutorials out there: use foil, use star nail heads, or have big clusters. I like this tutorial from Glitter Mint--I borrowed her trick with the wire through the pin. This is my contribution to the Rodarte star hair pin craze, I loved making them and hope it inspires people like others posts have inspired me. I went to two craft stores, Michaels and AC Moore. Purchase thick wire, I'm using 20 guage. Before we get started, I'm going to show how to do 'the loop'. 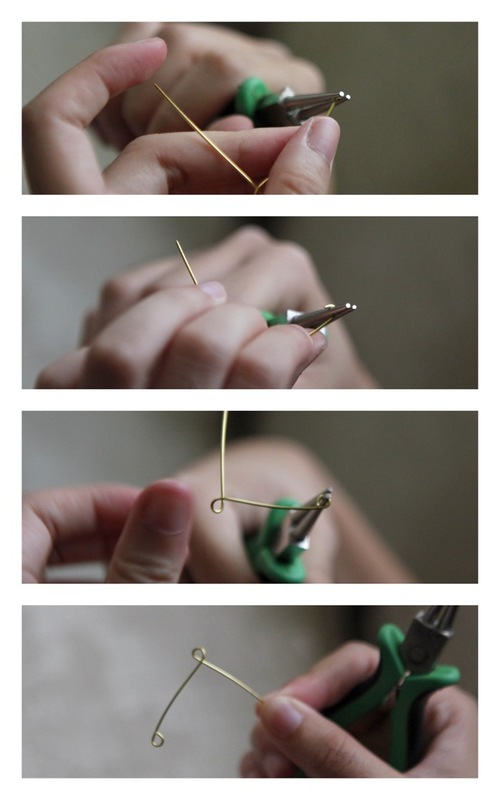 Grip the wire in between your pliers, and then just loop it around one of the ends. How to make a loop at the end. Snip a long piece of wire and slide it through the button holes. Take your pliers and twist the two sides together tightly. The next steps are where you can get creative. 1 and 2. I made a loop. 3. I added a second star. 4. I added a fourth star and more loops. 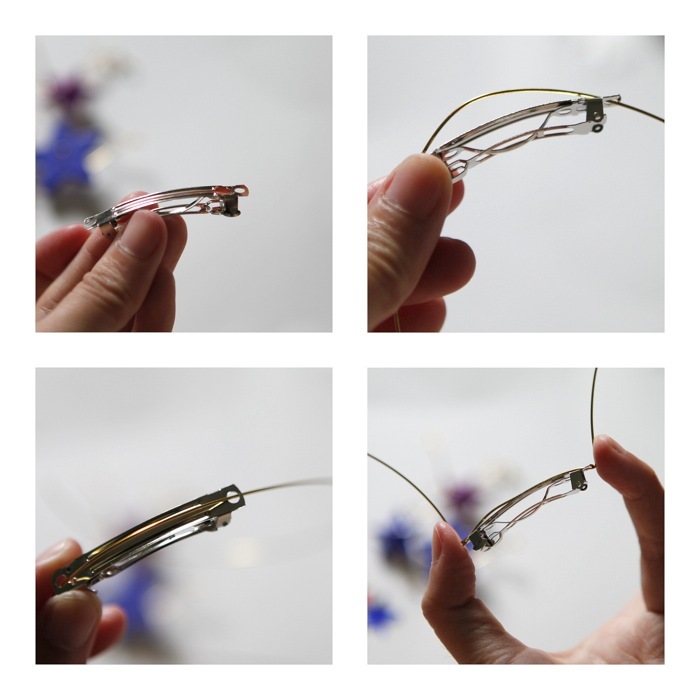 SO basically, using the one piece of wire, you will be making loops. When the wire runs out, tuck it into the back of one of the button stars. Snip another long piece of wire. Slip it through the holes at either end of the hair barrette. Now take your piece from earlier and fit it on top of your barrette. What we have to do now is secure the piece to the barrette. This next step won't be true for every piece-- I took the wire and slipped it unto the button holes because it fit perfectly. It will not always be a perfect fit. Wrap it around the stars, wire, barrette, wrap it and secure it. Use the wire to make even more loops and 'falling stars'. 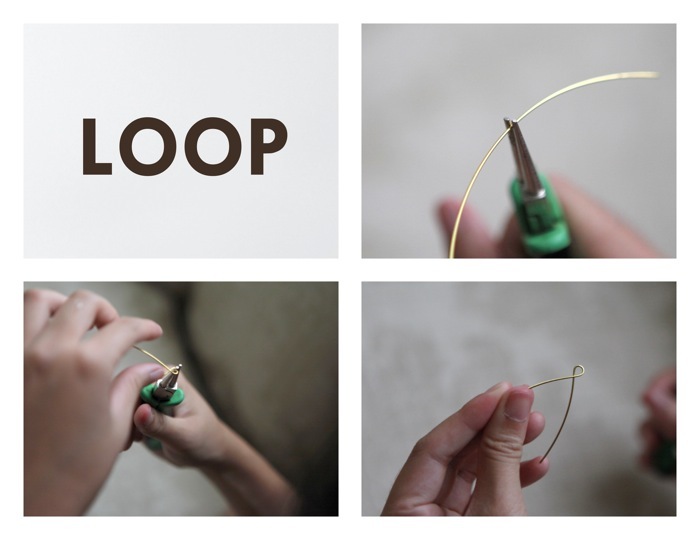 Add glue to your loops. Stick on your stars! Let it dry. Now you are ready to spraypaint. Please lay newspaper down and spray outside or in a well-ventilated area! The fumes are no joke. Here is a before and after spraypainting job! Don't be afraid to experiment with different shapes! If you have any questions or comments, please send them my way! I made bobby pins too. Thanks Lisa! As soon as I get moved in in Jersey, let's do a swap! I think an unpainted one could be cute for children. Looks so pretty on dark hair. Thank you! 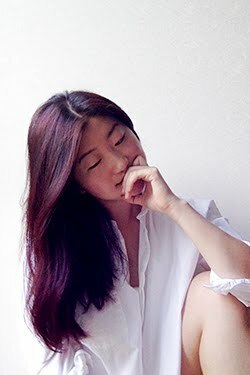 Very striking on dark hair, but I'm sure it would look good on lighter hair too! All the Rodarte models were blonde I think. If not, I think it would look great pray painted matte black on light hair. Thanks for mentioning my blog. I have readers who message me on Tumblr whenever there is a broken link. I often tell my readers that if you see a printable or pattern you really love - download it ASAP because you never know when it will disappear from the internet. I posted the top photo and a link back to you on my blog. Love the detailed tutorial and the options you give to change up the hair clip. Thank you! I follow your blog religiously. Lovely! I've been wanted to DIY one of my own... but now I see it's already been done ;) Nice job! Eep! I can't believe you commented me, I'm a follower of your blog! Love your fashion and DIYs. Thanks for mentioning my post about making it with gold foil/sheet! Love the bobby pin version for everyday! You're welcome and thank you! Let's be craft blog buddies. these are adorable - can't wait to try them out! Please do! And feel free to share your results! Very clever! I love that you also made a simpler version with bobby pins. Your tutorial is very easy to follow as well. Thanks for sharing. Thank you! I like the bobby pins too~ easier for every day wear. LOOOOOOOOOOOVE. I would try using Mona Lisa real gold metal powder mixed with lacquer. It has to be painted on though bu the gold impact is greater. Hey Amanda, I love your blog, keep up the good work ! this is great! love it. thank you for sharing! They are beautiful (the clips and the bobby pins)! Love your pictural tutorial. Thanks for sharing. What a great idea! The only thing I'm missing from all my crafts is the spray paint, however I do have gold metalic paint. I am going to try using that and see how it comes out. I hope it's alright, if it's not, please tell me and I'll remove it. I am just starting to experiment with wire. This looks fun and easy, thanks for sharing. I Love this Idea! Before and after the spray paint, beautiful! HOLY WOW! That's so cute, thanks so much for the great tutorial and idea. Wow this is so amazing! (i wonder if you will even see this comment it's been so long) :D anyways, i was just wondering if a hot glue gun would work as well? Thanks!! I've honestly never tried it but I don't see why not? Be careful with the heat! 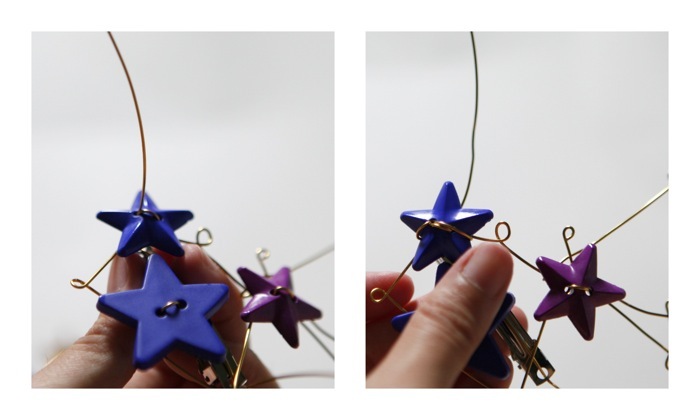 How did you make the bobby pins stars? Rocking project. Just right for my sister's tweeens when sitting with them. Dressy enough for mom and aunt to wear too. Thanks! I love your pin! I did one of my own using star studs which were very 3D. 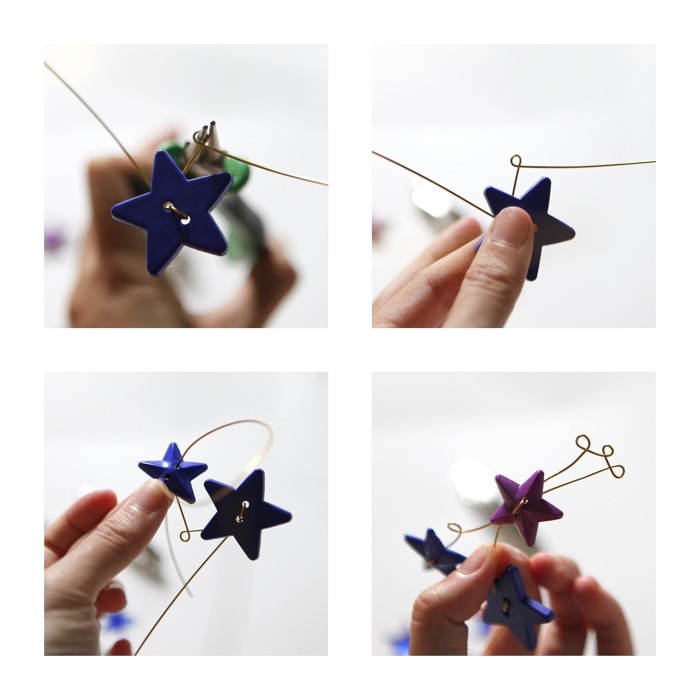 Have a look at: http://getbacktothedrawingboard.blogspot.co.uk/2014/01/diy-rodarte-star-pin.html. I have to try this... my hair is short so the bobby pin would be perfection! This is seriously so amazing!! I am definitely going to try this! 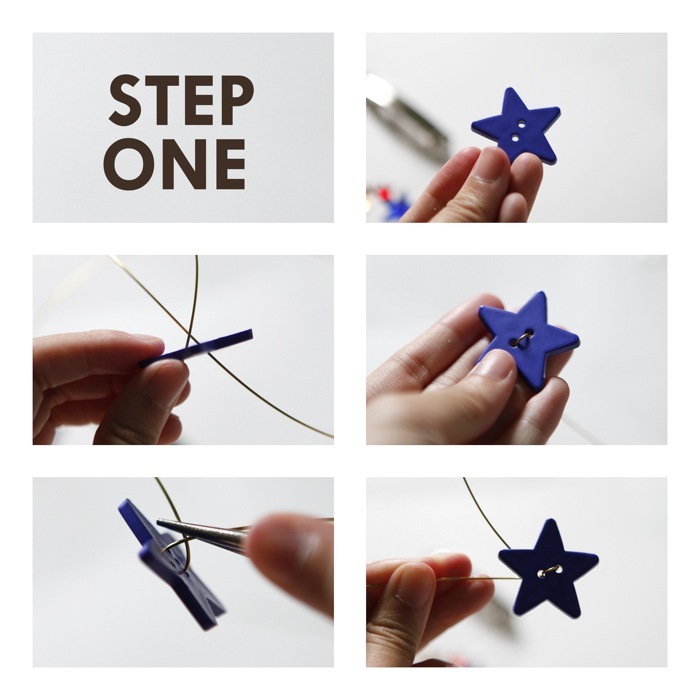 I love these DIY fashion accessories,I love the style of Rodarte Star Hair Pins.Thank you for sharing this impressive tutorial!DIY accessories making tutorial. Wow, such a beautiful diy project. They can be used on wedding. Looking for stylish and affordable hair barrettes clips, then Mermaid Capsule one of the best option you have.